Beatswave is an ideal choice for manage audio, album, bands, artist, musicians and sell the audio files to your customer. It offers a creative & trending design that never fails in valued by users. This template can be used to help your customers and fans learn more about you and your music or buy your audio items or other products. The site layout is completely responsive based on bootstrap 4 framework. Customers can view your posts from their tablets, desktop computers, smartphones and laptops. Cross-browser compatibility is also guaranteed. 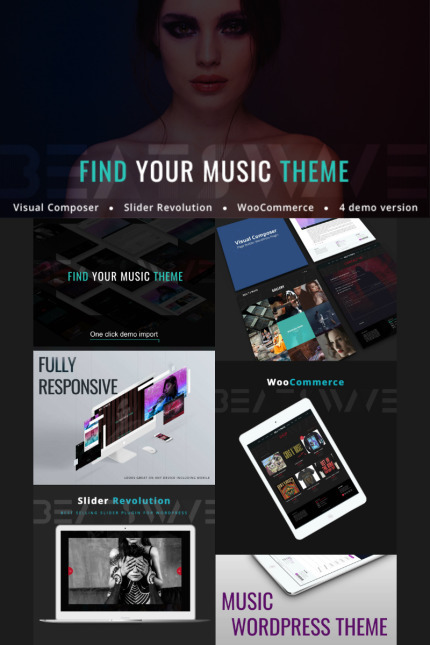 Beatswave theme is extremely flexible, intuitive and easy to use, packed with premium features and plugins, making it a powerful and complete solution for the music industry.